ECE ILLINOIS Assistant Professor Alexander Schwing and senior Dhruv Diddi contributed to an interdisciplinary research project with the Animal Sciences lab by providing them with a more accurate, simple, and cost-effective algorithm. 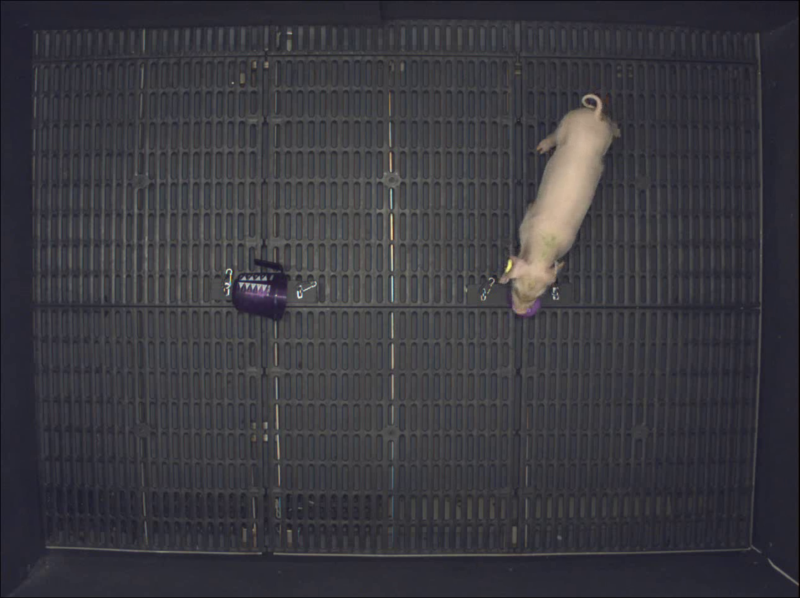 During these tests, Dilger and Fleming would record the piglet's behavior and then manually annotate the video to analyze later on. However, the manual annotation can be very subjective and variable between people so they sought an interdisciplinary approach to their analysis. Thanks to initial guidance from ECE ILLINOIS Professor Lav R Varshney, Dilger and Fleming connected with Schwing who was able to provide assistance to the team. Within just a span of hours, Schwing was able to develop an algorithm that used the video to track the behavior of the piglets and Schwing's algorithm yielded an impressive 97% accuracy rate. Diddi heard about their research and was intrigued by their interdisciplinary approach with nutrition, neuroscience, and computer science. He offered to help out with the algorithm and tinkered with the learning of the parameters of the algorithm that Schwing had developed and fine-tuned it to an astounding 100% accuracy rate. As Fleming describes, Diddi was a "good adaptor between what Ryan and I want to do and what Alex is guiding us towards." Schwing is affiliated with the CSL and Varshney is also affiliated with both the CSL and Beckman Institute.